This past October 2014, I had surgery on my face. The surgery was to remove skin cancer from beneath the surface of my face. September, the month of impending change, is when I learned I had cancer. Before surgery, I had a couple of weeks to think about the alien living below my eyes, beneath my skin. I hated the idea of something foreign living there. Knowing it was caused by too many unprotected days in the sun, I vowed to never again go outside without wearing a good quality sunscreen. I’ve honored the vow. Below is a photo of the day I learned that the yellow fireball in the sky had not been my friend. This is what the spot looked like… a pimple that wouldn’t go away. I didn’t think it was anything to be concerned about. Until it lingered and wouldn’t clear up. I am a consultant with Rodan+Fields, the skincare company created by Drs. Katie Rodan and Dr. Kathy Fields. 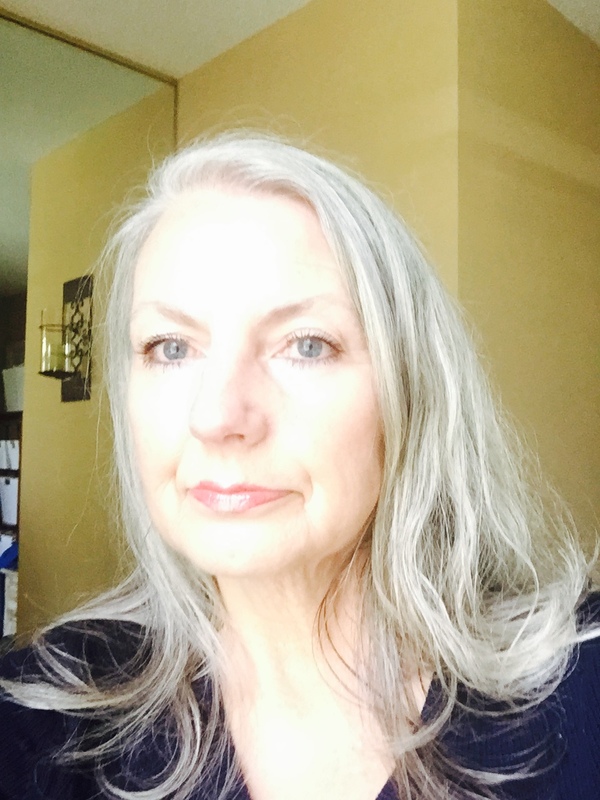 During the past year, I had seen my client’s wrinkles decrease, age spots disappear, rosacea, eczema and acne cleared up… leaving behind a flawless complexion. 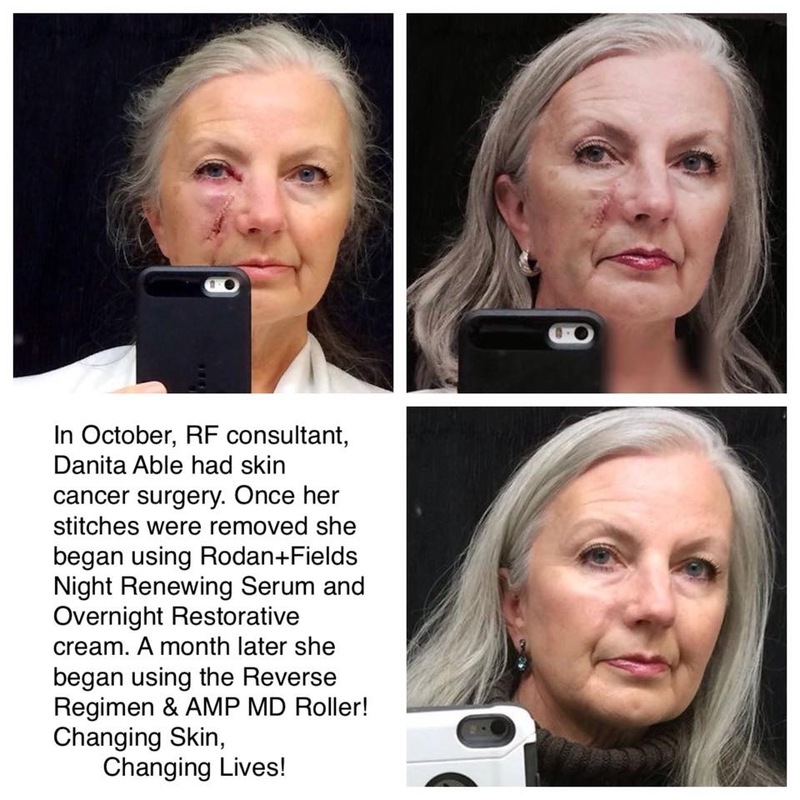 And while RF doesn’t make claims of healing scars, I knew I would give our products a chance before using the expensive creams my doctor suggested. The doctors and nurses had instructed me to wait a few days before removing the surgical bandages. In the meantime, I tried to set my mind for whatever lay beneath the white netting covering one side of my face. Expect nothing, just pull the bandages back and accept what’s there. Alone and holding my breath, I carefully removed the gauze and tape. One look and my stomach knotted up slightly and I sort of wanted to cry; but then I talked myself back: It could be worse. It wasn’t in the bone. Others have dealt with so much more. Think of what Denise is going through. If this is the worst of it for you, consider yourself fortunate. I developed my Rodan+Fields Game Plan. And when the stitches were removed a week or so later, I began applying RF Night Renewing Serum and RF Overnight Restorative Cream directly to the raw, invaded area. A couple of weeks after sutures were removed, the scar area began to harden and raise up in a long rigid line down my cheek and alongside my nose. It reminded me of the Rocky Mountains, except it was an angry red mountain range rather than one of snow-capped beauty. My physician told me it was from the internal stitches healing and pulling the tissue and muscle from different directions. “The roots of the cancer were spread in different angles, you were stitched accordingly. We can talk about procedures to correct it after you’re completely healed”. Searching the internet for restorative possibilities, I came across a surgeon using a ‘needlling’ process to break down scar tissue. Watching the video, I had an “aha moment”: “Hmmmm, RF has the AMP MD Roller. I wonder if that would work as well as what the doctor would use? The roller has surgical grade needles on it. I’ll give it a try”. Six weeks after surgery, when most of the tenderness was gone, I began “needling” the scar with the AMP MD Roller. Immediately after “rolling”, I applied the serum and the PM Cream. 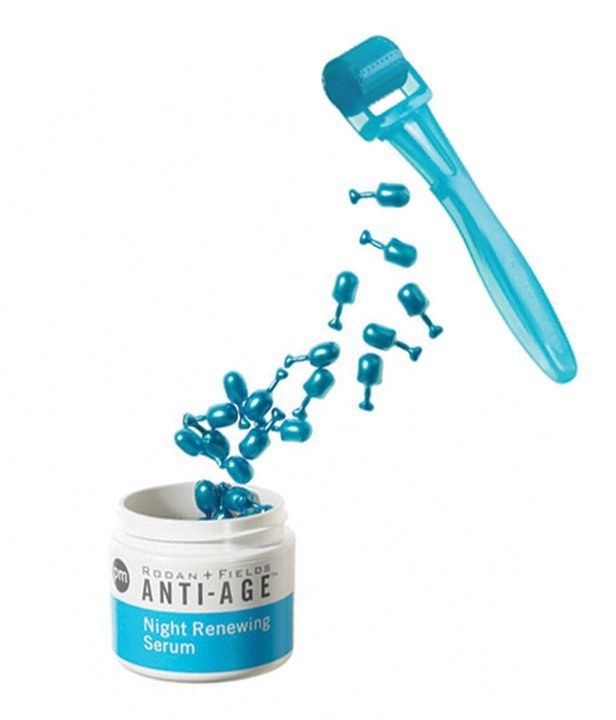 I did this every night before going to bed; in the mornings, I reapplied the Overnight Cream. I still “roll, needle” the area every evening. 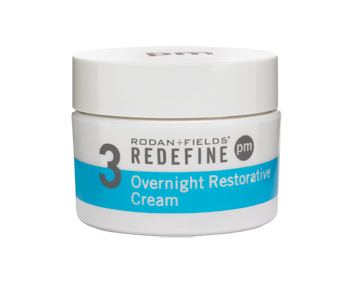 Since then, I’ve added the full Redefine Regimen to my bedtime routine. I’ll never stop using Rodan+Fields products. Each and every thing I sell has a 100%, empty bottle, 60 day, money back guarantee. If I can help you, message me or one of your Rodan+Fields friends….we’ll talk about your own game plan. Whether it’s for wrinkles, age or hormone spots, acne, skin irritations…we have something to help you. You have nothing to lose. Your skin will be with you until the end…treat it well. I no longer wear foundation cosmetics, so each photo posted here is naked skin, no editing. Photo in the bottom right corner of the collage was taken in January 2015. Just incredible….This is one of the many reasons I use these amazing products!! RF products truly are incredible! I too had this Surgery in June and like you when I removed the bandage was in shock. Thank you! I hope the article encourages others. And convinces everyone to use sunscreen! I am so happy and thrilled for you. Your results are so great. Thank you for sharing with all of us. Simply amazing. I’m investing in this as soon as I can. I appreciate your encouragement, Eve! You won’t be disappointed with RF. It truly is an amazing product. I discovered it from my father and it has done miracles for my acne. So nice to be confident about my skin for the first time in a long time. It really is an exceptional product! I’m happy for your improved skin. Feeling good about our appearance goes a long way when it comes to sell-esteem, doesn’t it? Thank you for being vulnerable enough to share your beautiful story! Thank you for sharing your story. My son has a long scar on his elbow from a recent surgery. As soon as it heals, we will be applying the same techniques and I am hopeful for equally awesome results! You’re very welcome. Consistency is key, but I believe his results will be wonderful! Best wishes for you both! Danita, your skin looks fabulous. I love Rodan+Fields and my mom is getting the Redefine Amp it up regimen because she had the same thing done to her skin. She will be so thankful for RF. Consistency of use is important. This is amazing — but the most amazing part of all is the inner beauty shining through! Your comment means so much to me. Thank you for sharing such a personal storyand personal pictures. Thank you for sharing your story Danita! A good lesson for us all about sun care and a great testimony to R+F’s amazing products! You’re welcome! Sunscreen is with me at all times these days! Products unbelievable! You are a very naturally pretty person. Thank you for your sweet words of encouragement! I agree, Rodan+Fields products and the company are exceptional. I’m so grateful for them. What fabulous results. You are truly beautiful. 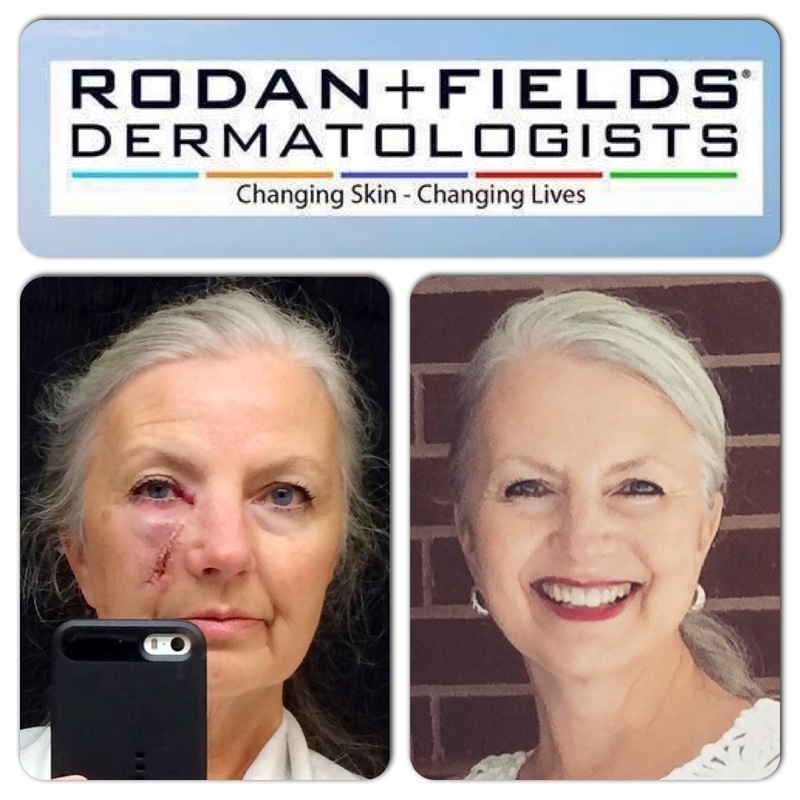 thank you for sharing your story – and I wonder if I might be allowed to share it with my Rodan and Fields customers as well? Thank you for your very nice comments! Yes, you are welcome to share. I have been looking for products that I can believe in. I have quite a few skin care issues. Where can I find the RF products in Texas? San Antonio specifically……. Your order will be shipped to your address. Each product comes with a 60 day money back guarantee. What amazing results!! Thank you for sharing your story! I am an RF consultant and also have skin cancer that I am having removed off my face next month. I hope my results are as great as yours! Best wishes and prayers for a full recovery. Be consistent, don’t dkip a day of using RF (once stitches are removed), and I believe you’ll be very pleased with your results! WOW! Very well written. My first thought was “How brave of her to share her photos”, but then I thought, Why wouldn’t she? If I were her, I would want to shout it from the rooftops and carry the pictures around with me in my purse to show everyone! I know our Rodan+Fields products are amazing, but this takes it to a whole new level! You, my dear, are living proof of the power of these products, and it make me so proud to be part of a company that truly is Changing Skin and Changing Lives! Love You From Oregon! Thanks for sharing your story! You’re welcome! Thank you for your encouragement! This week I wanted to share another transformation: the incredibly brave Danita Clark Able. She wrote about her successful battle with skin cancer and how our Redefine products helped heal her scar tissue after surgery. Her story is absolutely amazing, and you won't believe the results she achieved! It brought tears to my eyes. Her takeaway? "Your skin will be with you until the end…treat it well." This story is especially close to my heart, as my own mother is a cancer survivor. She's using the Reverse regimen to combat some dark spots on her face, the hormonal aftermath of chemo and radiation. I absolutely believe that Rodan + Fields lives up to their promise: changing skin + changing lives. I am an R + F consultant and would love to share your story! Thank you, Lee-Ann! Feel free to share. I CELEBRATE with you!!! I am a Rodan +Fields consultant, also…as well as a WordPress.com blogger!! I have seen your pics on Facebook and what a BLESSING how Your healing came with the aid of our wonderful R+F products!!! I have posted your pics on my Timeline and am so happy for you!!! Thank you for celebrating and sharing my photos and story! There is much to celebrate! I appreciate you for taking the time to comment here. Wow Amazing. I am stressed about my acne scarring but I guess I have found a solution. My skin is very sensitive I will be trying the soothe first and then moving onto the roller for scarring. What other tips can you give me Danita? your skin looks amazing and I don’t want to be wearing makeup anymore either. what a beautiful testimonial. I hope it encourages people to treat their skin well but also gives hope to those who feel like it’s too late now. One question I do have: You mention in the body of your blog, that you used the REDEFINE regimen, however, the graphic with the three pictures and short summary as well as other such graphics I’ve seen on the internet state that you used REVERSE. Could you please clarify? I did use both Reverse and Redefine, but not on the scar. I used Reverse in some sun/age spots, but never on the scar. My focus was on the scar, so I was very pleasantly surprised when I compatrd my first set of Before and After photos and saw the big difference in the brown spots! I mentioned the change in a Facebook post and then others added the information to graphics to share in their own pages. And that was perfectly ok to do! When I wrote the last blog, I purposely omitted any reference to Reverse, as I had many who had misunderstood….thinking Reverse was used on the scar. I wanted the focus of the article to be solely on my post surgery scar-healing routine. This is amazing. Thank you so much for sharing your story!! Very inspiring! I just became an R+F consultant a week ago and stories like this really reaffirm why I did. God bless you!! And congratulations on an excellent life decision! OMG, I just went thru the same thing. Huge scar. I was told in order my face to heal “nicely” it was cut longer so that the skin can lay right once a piece has been taken out. It was so scary to look at with stitches. The skin cancer was below my eye. The scar starts below that and continues up next to my eye and stops at hairline. Its been 2 1/2 wks since stictches were removed. My dermatologist said I could use Maderma now. I haven’t heard of R+F. I may have to ck into it. Thanks for sharing. It totally felt like my story. And dermatologist said use sun block. Sunscreen doesn’t have enough protection. Thank you for reading and commenting. I’m so sorry you’ve had this experience and pray you heal quickly! Our (Rodan+Fields) Sunscreen is a Brosdspectrum block, created by our doctors and approved by skin cancer foundation. We have one for the body and 4 kinds for the face. You should take a look! Thank you for sharing. Truly inspirational! You’re welcome! I appreciate your kindness. Amazing story and also happy to be a part of R+F. You look great! Thank you! RF has been a blessing in many ways! You’re welcome! Best wishes for your daughter. Inspired! Starting my R+F journey to heal older skin cancer scars. Until now I’ve just been embarrassed and afraid. Your advice is priceless. Your courage is to be admired. And you look amazing, by the way. Thank you! I’m so happy to hear from you and please, keep me posted! Thanks also for taking time to comment. You sound like a strong, beautiful woman- inside and out! Thank you for sharing your story. You are an inspiration! Because of your story, I will start using this on my little girls scar around her ear that she has from brain surgery. Thank you! I’ll pray for your little girl! Please keep me posted on her progress. Danita, thank you for sharing! I never use to practice safe sun care, until the last few years and now I encourage friends and family too. Love my R+F sunscreen! Thank you for reading and posting! I never leave home now without my RF Sunscreen! Prevention is much easier than surgery. Thank you for sharing your photos. You can help a lot of others facing similar situations. Hugs and prayers to you and your family. Thank you for reading and commenting. I hope my story helps others! How scary for you this past year! Very glad that all is healthy and now you also have amazing results! Sometimes a scar can tell a very worthwhile story. Hope many listen and learn the value of sunscreen. And the effectiveness of the skincare tools and products that Dr. Rodan and Dr. Fields have created. Thanks again! You look lovely! Thank you for reading and commenting. Yes, it was frightening, and a good life lesson. I’m so thankful for the opportunity to share the importance of protecting ourselves with a good quality sunscreen. Thank you for sharing your story! I love R+F! Yes! I’m happy to share with others! You’re very welcome! Thank you for reading and commenting. First off I am sooooo incredible happy for you! This is extremely amazing and heart warming!!! So awesome to know that these products trule helped you!!!! You are beautiful!!! Thank you! I’m grateful for RF! Still amazed with the results! Your results are amazing! So happy for you! Thank you so much for sharing your very personal story and pictures with us. I love our products and this is a true testimony to their results. God’s abundant blessings to you. You’re welcome! Thank you for reading and commenting! I appreciate it so much. May God bless you as well. Hi Danita! Your results are remarkable and I have shown so many people about what these products can do!! I do have a question. In your article it says you used the redefine regimen, but in one of the collages it said you used the reverse regimen. Which regimen was it? Thank you!!! Hi! Thank you for reading, asking and sharing! I used Reverse to treat sun damage, but didn’t use it for treatment of the scar. With exception to Reverse #4 Sunscreen. I use that everyday! It’s the last thing I apply to my face and neck. So glad to hear that you are ok – and you DO deserve the best skincare! We all do! : ) Thank you for sharing your story! Thank you for reading, commenting and for your kind words! Yes you DO deserve the best skincare! We ALL do! So glad for your recovery. Thanks so much for sharing this with us! Thank you very much! I appreciate your comment. Yes, we all deserve the best! I would love to share your story on my blog but I wanted to ask for permission first? Thank you, and of course, you may share! I appreciate your thoughtfulness in asking. Why are the pictures of your skin cancer under your left eye yet your scar is under your right eye…just curious…. Some of the photos were made by pointing the camera at a mirror (notice you see my phone in the photo), so the image is reversed. 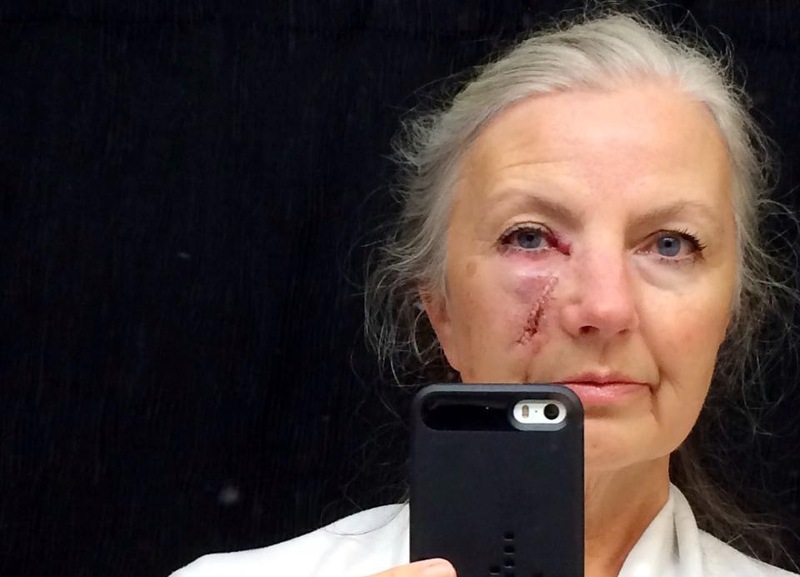 Hi – Love our video- I was in the same boat- Had cancer on my face with 35 staples to repair. I had to follow up with Chemo and Radiation treatment. This left with me with two problems – Scaring from the surgery and redness from the radiation burns. 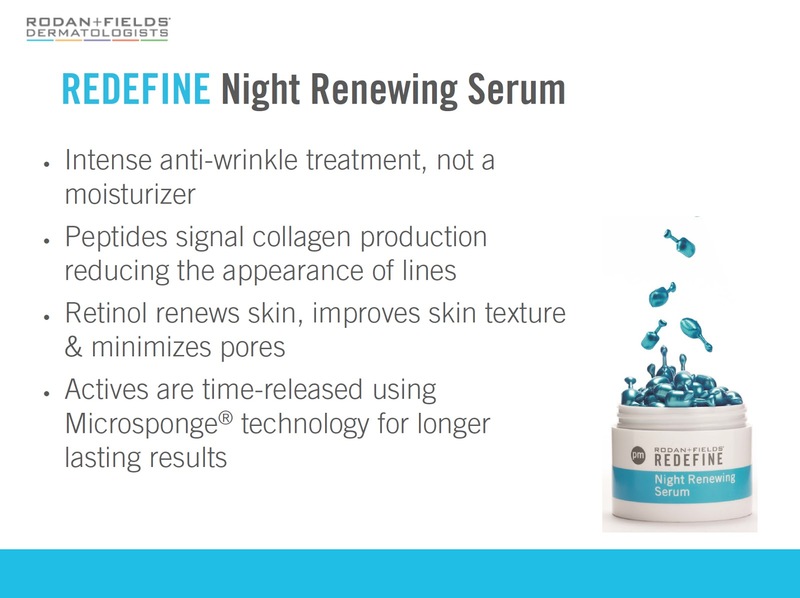 My Sister law is a consultant for Rodan and Fields and she suggest the Roller and the Redefine kit. I just started a few days ago. Hope you can give me a short version how it was like in the beginning. 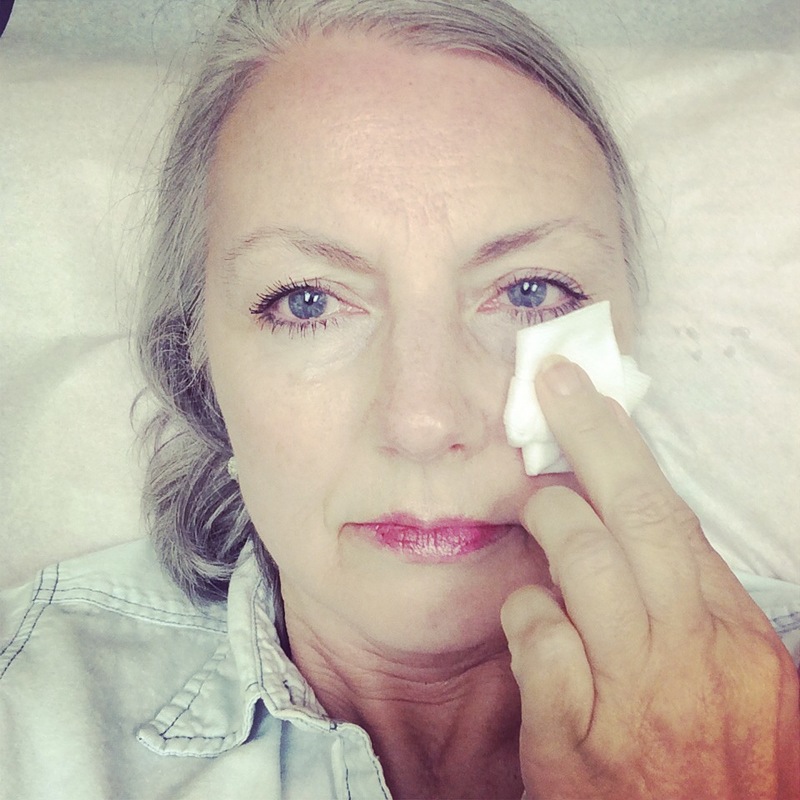 I will be 49 and never had much acne or a lot of wrinkles, but hoping instead of scar revision surgery this will work because my oncologist suggest a specialist for the surgery due to the challenge to correct scar tissue. Wish me luck! Thank you! I’m so sorry to hear of you ordeal! I think it’s certainly worth trying our products first. I had no idea how it would turn out, but I’m so thankful I did. Go easy at first. You’ll know what you can handle. RF Soothe will help the burns. I also had a similar experience and am only 43. My surgery was done in Mid March. I’ve heard it takes a year to really heal. How long did yours take to “feel normal”? I still have the hard area under the skin that is healing. I massage the scar line down my nose twice a day. It’s hard to be patient and not know what to expect. I began rolling approximately 6 weeks after surgery, once the internal stitches were dissolved. The Roller will definitely help with the hardened scar tissue. A year is about right, but varies with individuals. My Before-After photo was taken 8 months apart. (I never missed a day rolling).